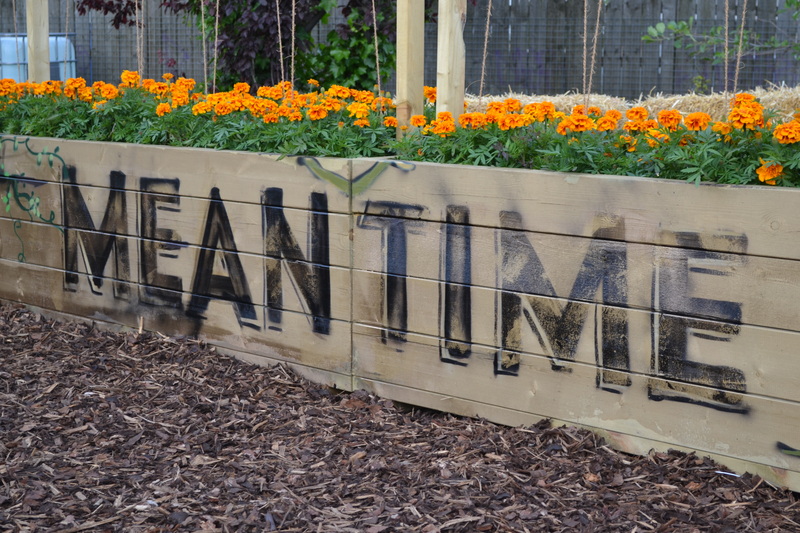 Green fingers in Greenwich – Meantime establishes hop farm on the meridian | It Comes In Pints? When someone says “hop farm”, it conjures up a certain mental image. Since our trip to the rolling green fields of Worcestershire to visit Stocks Farm in April, we think of acres of posts and wirework stretching away seemingly into infinity while birds chirp in the hedgerows and the Malverns loom in the distance. We do not think of the sound of a construction site, graffiti and the porcupine-like spectre of the O2. 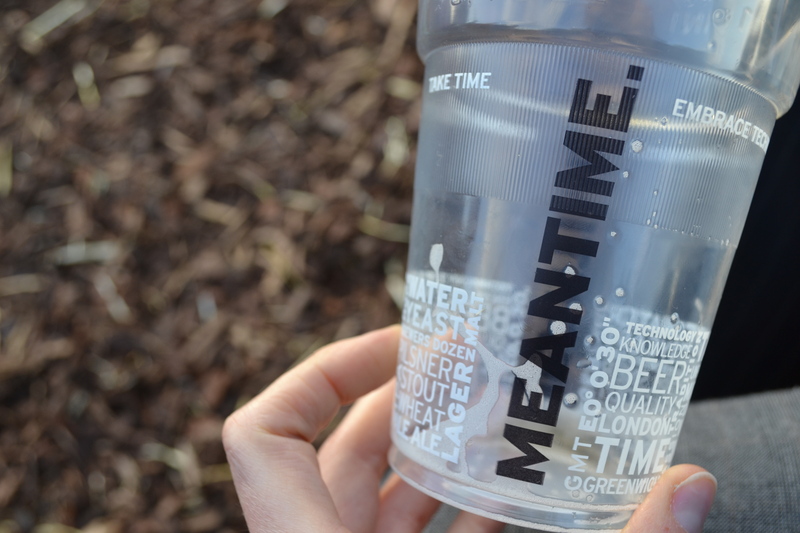 London brewers Meantime have set out to change that. 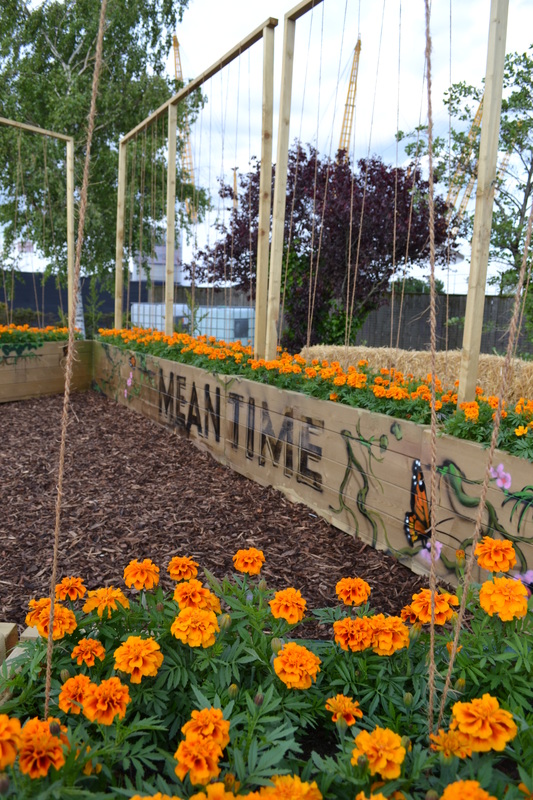 ICIP has come to the launch event for the new Meantime hop farm, situated on the Greenwich Peninsula. 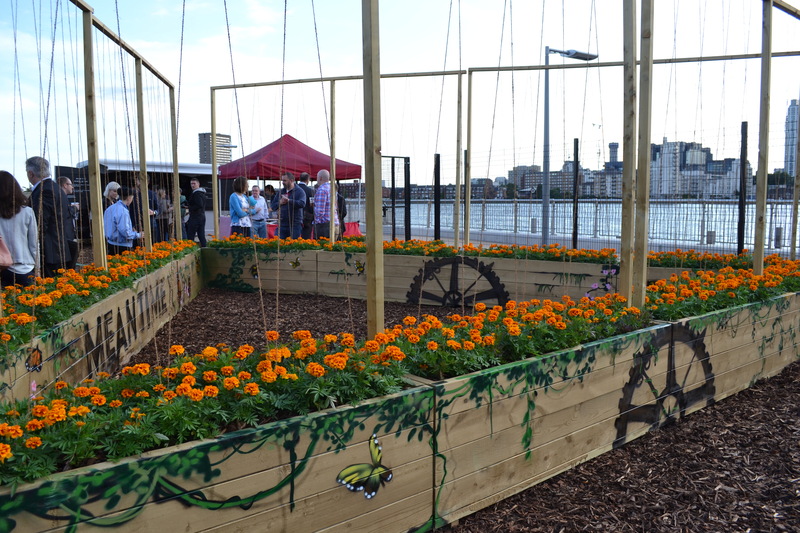 The site is opposite Canary Wharf, behind the O2, and quite literally right on the Meridian Line – a green wooden plank running straight through the planters marks it out. As locations go, it’s pretty iconic. 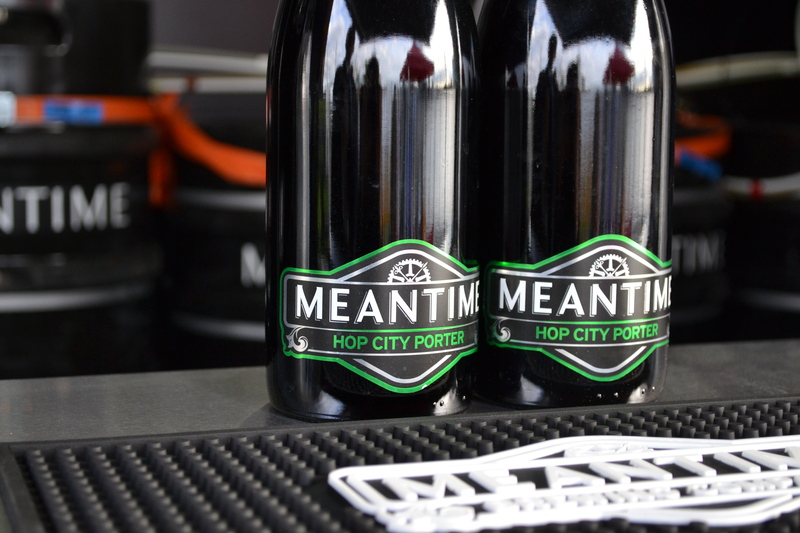 This new venture has been developed since the success of Meantime’s “Hops in a Box” project last year, which cumulated in the production of 1,000 bottles of Hop City Porter – a beer made with hops grown across London. This year they’ve taken it a step further by setting up the first permanent hop farm in London for over 100 years. The baby hops aren’t visible right now, buried somewhere under a sea of cheery marigolds, but we’re reliably informed that there are 48 plants growing on the plot. Keeping with the traditional English vibe, they are all Fuggles. Despite Kate’s enthusiasm, there were some significant challenges to overcome. Firstly, she had never worked with hops before. “I contacted a number of hop specialists to chat about it,” she said. “Luckily hops are perennials and I work with them all the time!” Working alongside the Essentially Hops company from Kent, Kate’s team were able to set up the posts based on a commercial hop pole configuration, on a slightly smaller scale. They were also able to source authentic coir (natural fibre from coconut husks) and hop pegs. The plants will need to be trained clockwise around the strings as they grow and carefully tended over the coming months. Meantime are hoping to harvest around 9lbs of hop buds from the site – enough for a 10 hectolitre batch of beer to be brewed this coming autumn. For the launch party, the brewery have rolled out the “Half Pint” – a van doubling as a portable bar – and have a BBQ on the go while drinkers sit on hay bales. They are serving up their latest brew, Californian Pale Ale (5.5%), a beer which takes its inspiration from American pale ales while still paying homage to the British styles which in turn influenced these US beers. It is made with both Slovenian Celeila and American Crystal hops, giving it a fruity and fresh nose, and uses East Anglian malt, which lends it a subtle sweet lift to balance the bitterness. The beer is delicious – light and fresh enough for a refreshing summer pint, but with enough flavour and complexity to satisfy our beer geekiness. 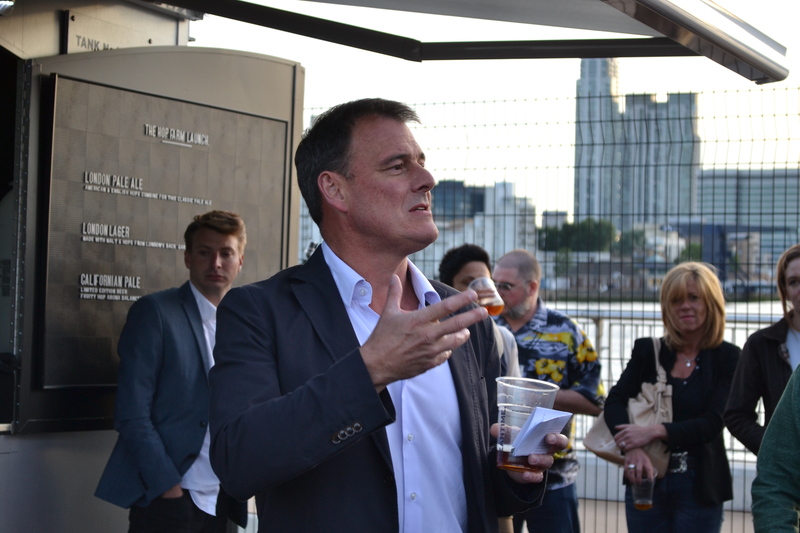 As the sun begins to sink behind the skyscrapers of Canary Wharf and the beer continues to flow, it is impossible not to be infected by Meantime’s obvious passion for their latest project. They are clearly hugely proud of their London roots and by their connection to Greenwich. ICIP is hoping to return to the hop farm to report on its progress, but in the meantime (! ), you can visit Meantime’s Facebook page to see how the hops are getting on. You can also follow the progress of other keen hop growers across London on the #hopsinabox hashtag on Twitter. 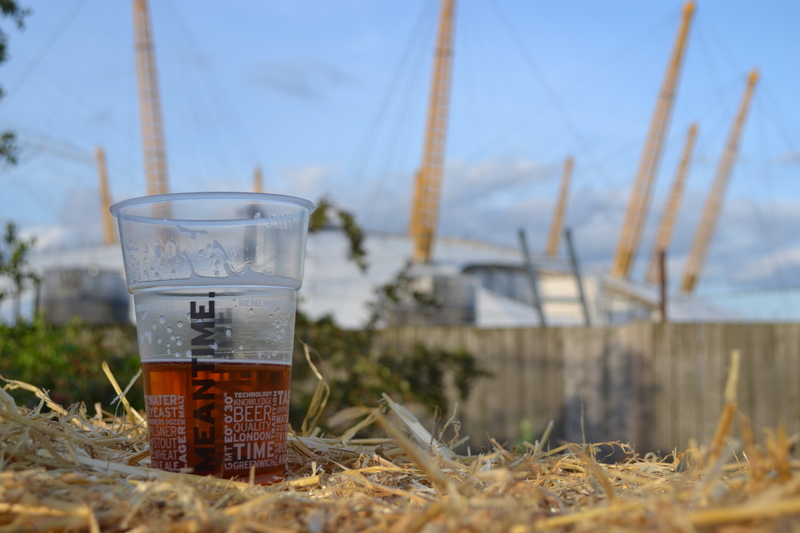 This entry was posted in Beer and culture, Festivals/Events and tagged Beer, greenwich, Hops, London, meantime, meantime brewery on 13/06/2014 by icipints.